This holiday season, the staff at Colony One Auto Center would like to share with you what we are especially thankful for throughout the year and during this time of year. 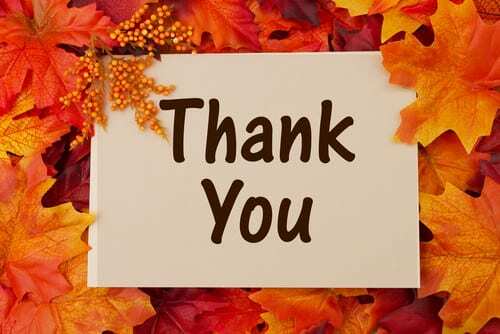 Being a family founded and run business, we are especially thankful to you, our customers, for helping us grow and provide the community with the highest quality auto repair and maintenance services. We look forward to seeing and working with you in the New Year. For all of your repair and auto maintenance needs this holiday season, contact the experts at Colony One Auto Center. Now let’s hear from some of those experts about the things they are thankful for. Tony Anthony brings nine years of experience to his job as service advisor for Colony One Auto Center. He moved from his position as parts and warehouse clerk to service advisor within his first year with Colony One, due to his ability to quickly comprehend and articulate customers’ needs. Tony is also ASE certified. Here’s what he had to tell us about giving thanks during the holiday season. Colony One Auto Center’s owner Rod Tate operates the shop with the same principles set in place by our founder, Sam Tate. In addition to being ASE certified, Rod has over 21 years of experience of fully meeting the expectations of our customers. Here’s what he had to say about being thankful. Dustin Raynor brings 11 years of experience to his role as front office manager for Colony One Auto Center. Dustin especially enjoys helping and interacting with our customers and making sure they leave our shop satisfied. Here’s what he had to say about being thankful at this time of year.